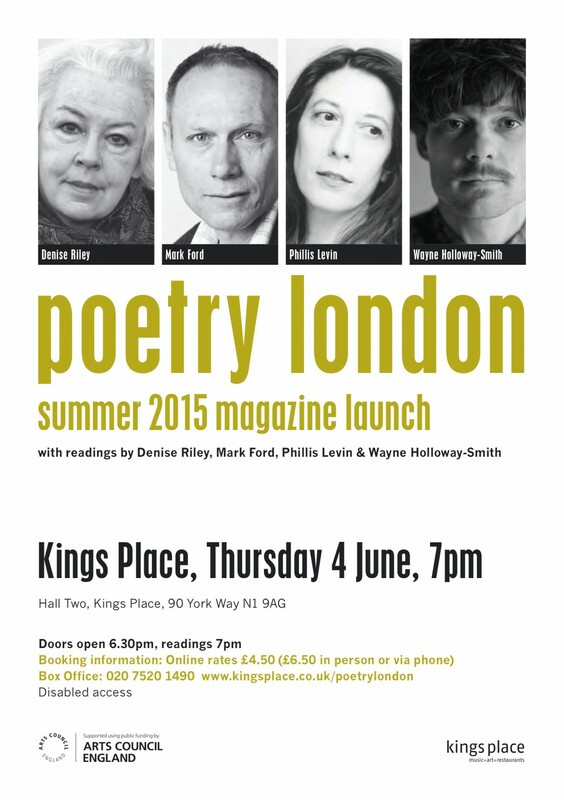 Join us to celebrate the launch of the Spring 2016 issue of Poetry London, offering a unique opportunity to hear some of the magazine’s most distinguished contributors. 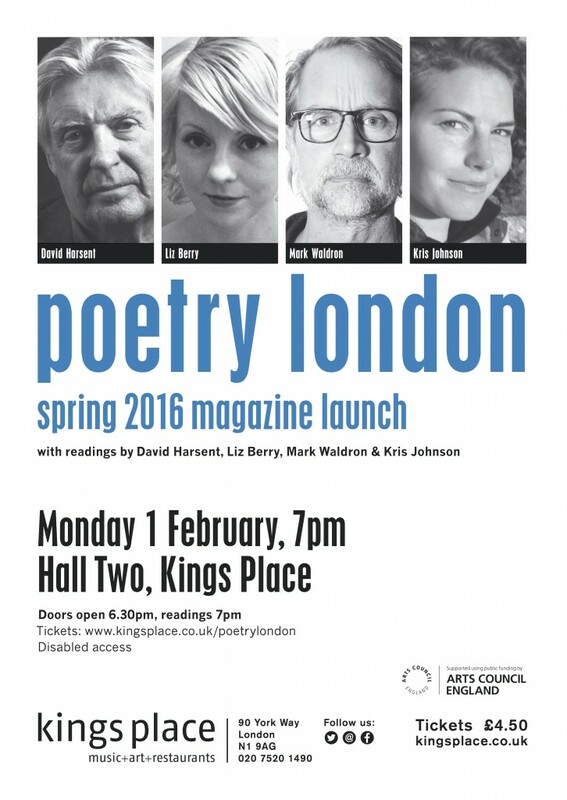 Amongst the poets reading will be David Harsent, author of over twenty books of poetry and recipient of the T.S. Eliot Prize, Forward Prize and Griffin International Poetry Prize, along with Mark Waldron, recently named one of the Next Generation Poets 2014 and author of books including The Brand New Dark and The Itchy Sea, Liz Berry, whose debut collection, Black Country, won the Geoffrey Faber Memorial Prize, a Somerset Maugham Award and the Forward Prize for Best First Collection, and Kris Johnson, whose poems have been published in Halleluiah for 50ft Women, Butcher’s Dog, Poetry London, Poem, The Irish Literary Review and The Lifeboat.